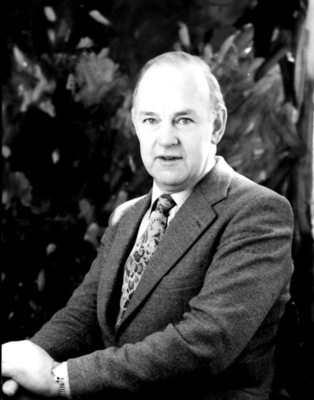 Ian Boyd was a world authority on sensors in the muscles of vertebrates called 'muscle spindles'. These are the most complex of the 'proprioceptors', sensors that provide information about body position. His discovery in 1958 that they contain two kinds of specialised muscle fibres launched a flurry of experiments leading to the modern understanding of how these sensors function. For his PhD he studied joint receptors - proprioceptors that signal joint angles - with TDM Roberts whose main interest was in balance. They described two types that differed in both appearance and behaviour. During this time he took an external course in Physics and Mathematics from London University, gaining a BSc in the same year as his PhD in 1954. This fitted him for a spell in the Biophysics Department at University College, London, under the Nobel Prize winner Bernard Katz. Katz himself had demonstrated that muscle contraction in frogs was initiated by the release of acetylcholine from motor nerves endings. Ian and AR Martin proved that the same principles applied to the nervous control of muscle contraction in mammals. Ian was a gifted experimenter, almost every preparation yielding important results, but his flair was augmented with great diligence. He extracted the last drop of information from results long after his co-workers had reached saturation. Whilst probing muscles to find motor nerve endings Ian came across muscle spindles, and this kindled his interest in them. Since the late 19th century they were known to consist of small muscle fibres supplied by motor nerves, but also by two kinds of sensory nerve whose function is to signal muscle stretch. Ian intended to extend the techniques he learnt in Katz’s laboratory to the muscle fibres of muscle spindles. Back in Glasgow he investigated their structure systematically, and discovered two distinct types; he called them nuclear chain and nuclear bag fibres because of the arrangement of nuclei that occupy the middle of the fibres directly underneath the main (‘primary’) sensory ending. Intriguingly, the other (‘secondary’) sensory ending was concentrated mainly on the nuclear chain fibres. Simultaneously, with technological assistance from R Eadie and J Ward, Ian pioneered a technique which revealed that nuclear chain fibres twitched when they contracted, whereas nuclear bag fibres contracted smoothly. Ian’s research prompted Peter Matthews to look for two sorts of spindle motor nerve. In 1962 he showed that they make the main sensory ending either more or less sensitive to muscle stretch. The expectation was that each sort would innervate one kind of spindle muscle fibre whose different ways of contracting would either increase or decrease the sensitivity of the sensory ending. For this to be true nuclear bag and chain fibres ought to be always separately innervated. However by 1970 teams led by David Barker and Yves Laporte showed that some motor nerves regularly innervated nuclear bag and nuclear chain fibres together. Meanwhile immuno-histologists discovered that there are two kinds of nuclear bag fibre. After many difficult experiments a team working with Ian resolved the problem. Motor nerves that increase the sensitivity of the main sensory ending to muscle stretch innervate one type of nuclear bag fibre. The others innervate the other type and the nuclear chain fibres. 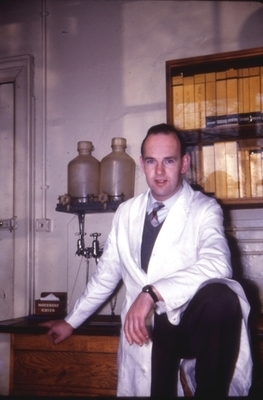 Ian's influence spread widely among physiologists, in part due to his award winning teaching films on muscle spindles. Obituary. 1987. British Medical Journal,. 295: 1147. Boyd, I. A . 1962. The structure and innervation of the nuclear bag muscle fibre system and the nuclear chain muscle fibre system in mammalian muscle spindles. Phil. Trans. R. Soc. Lond. B. 245: 720: 81-136 . World Changing Project, "Breaking new ground in the understanding of the structure of muscle fibres," in University of Glasgow World Changing (University of Glasgow, 2010); http://www.worldchanging.glasgow.ac.uk/article/?id=22 (accessed April 26, 2019). World Changing Project. "Breaking new ground in the understanding of the structure of muscle fibres." In University of Glasgow World Changing. University of Glasgow, 2010. http://www.worldchanging.glasgow.ac.uk/article/?id=22 (accessed April 26, 2019). World Changing Project. "Breaking new ground in the understanding of the structure of muscle fibres." University of Glasgow World Changing. University of Glasgow, 2010. 26 April 2019 <http://www.worldchanging.glasgow.ac.uk/article/?id=22>.